The Raiders have made some splash moves in free agency but still have openings at running back. Isaiah Crowell will make a trip to Oakland as a potential solution, Ian Rapoport of NFL.com tweets. Jon Gruden, in particular, wants the Raiders to sign Crowell, Rapoport adds. So this partnership appears to have a good chance of happening. Crowell’s visit, his first in this free agency period, will occur Thursday. The Jets released Crowell earlier this offseason, doing so after one season. 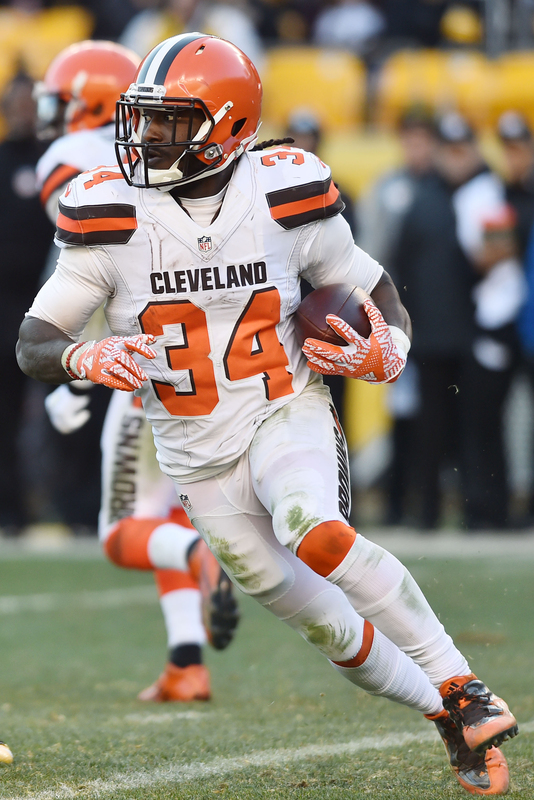 Crowell did well on a per-carry basis in New York, matching his career high with 4.8 yards per carry. But the Jets gave the 2018 free agent acquisition a career-low 143 carries. Crowell, 26, finished with 685 yards. The Jets replaced him with Le’Veon Bell, who was also on the Raiders’ radar. Although, the Silver and Black did not appear to make a serious run at the longtime Steeler. Crowell has 27 career rushing touchdowns and surpassed 850 ground yards in his final two Browns seasons, doing so despite the team often trailing in a 1-31 stretch. Marshawn Lynch‘s status with the Raiders is up in the air, and despite Gruden indicating he was in favor of a Doug Martin return, that has not come to fruition. Jalen Richard has yet to sign his second-round tender, but the fourth-year passing-down back doing so would appear likely. DeAndre Washington remains on the team as well.